I weighed the Bolle The One Road Premium helmet and compared its weight against two Specialized helmets I own. 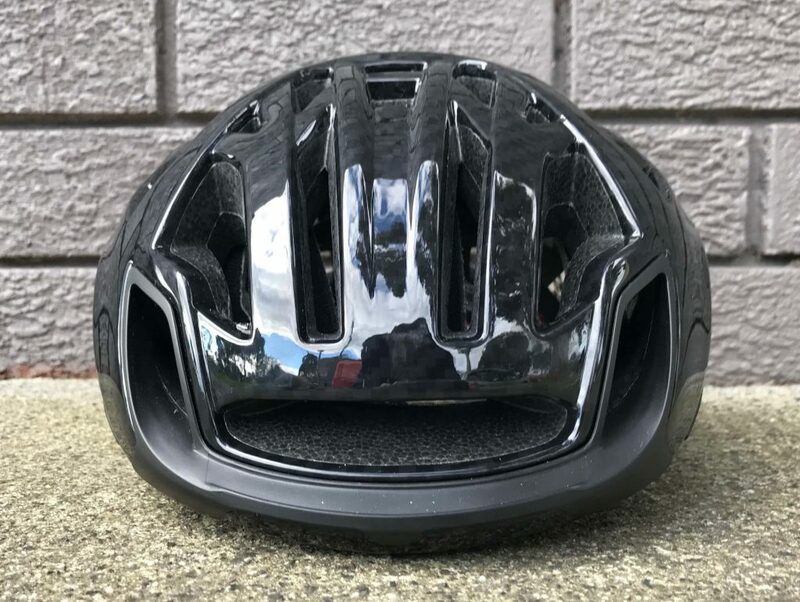 The reason why I weighed two other helmets and not one – the Specialzied Prevail and Evade – was because Specialized offer different helmets for different scenarios, as do many other helmet brands. Whereas Bolle essentially offers two helmets for the price of one. The extra weight of the Bolle could be attributed to the its transformer features as well as the rear LED Safety Light. 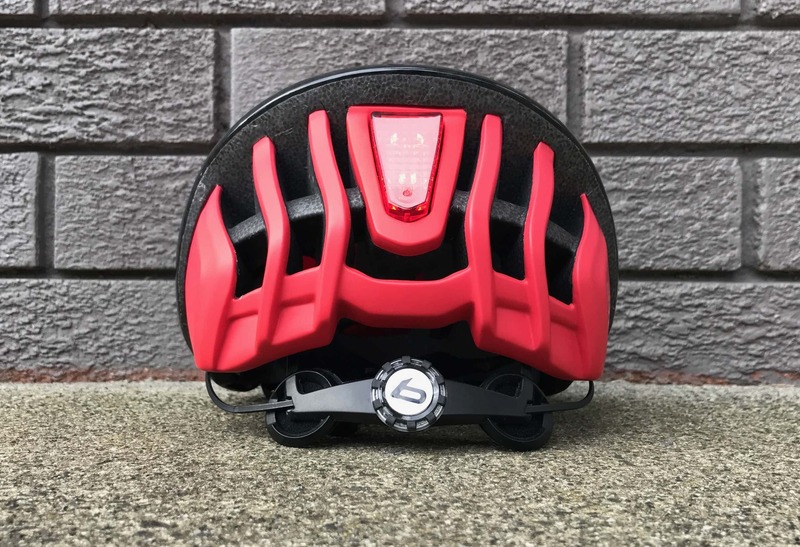 The rear safety light can be removed and replaced with an insert however I thought this feature was a sleek looking addition that provides cyclists with more presence on the road. The true standout of this helmet was its alignment with what a helmet is ultimately designed for – protection and safety. In addition to the LED, there are QR code stickers that can be placed on the side of the helmet. If you unfortunately find yourself in an accident and unconscious (or not with it) you can be identified through the QR code which can also provide details of your partner, next of kin, or someone who’s there looking out for you. I found the “Click-to-Fit System” robust. An important factor with this type of feature. I have worn helmets in the past where this system breaks or gets easily damaged. If this occurs you can essentially kiss your helmet goodbye. The strapping clip mechanism for correct placement of the strap below the ear and along the jawline was also very simple to navigate. With other helmets I have found this process frustrating when you first attempt to align a helmet to your facial features. Not the case with the Bolle. The “Sunglasses Garage” adds to the ease factor of this helmet. The frontal side vents are purpose built for sunglass arms. 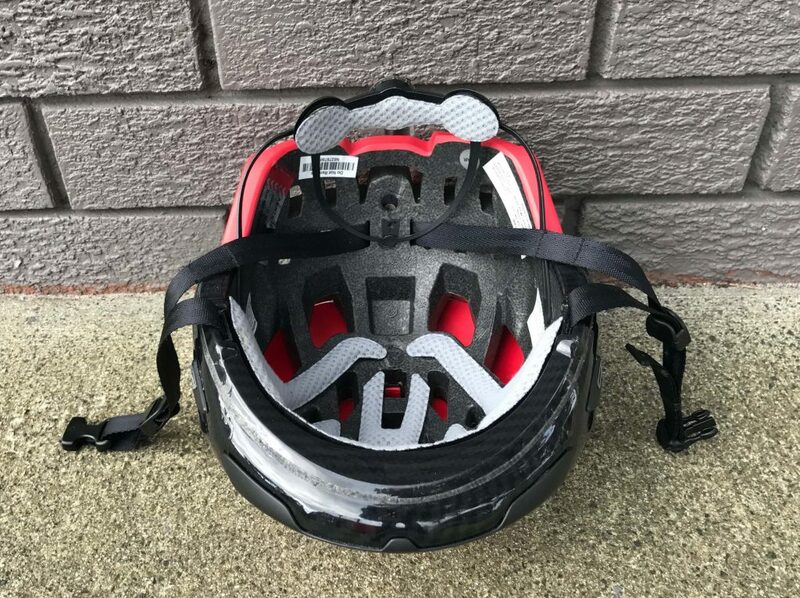 When you slide your cycle glasses into the vents they feel locked in snug, meaning you can mitigate incidents where expensive cycles glasses go flying out of your helmet, grazing on the bitumen or being completely destroyed. Sunglasses can fit snug into the Bolle “Sunglasses Garage” ensuring they don’t fall out when inserted into your helmet. After testing the aero capability of the aero shells I’m of the belief that the most compelling outcome of the shells are their ability to provide further warmth during the cooler months. These shells are easy to remove and insert back in via a click based system that connects without niggles. The 31-vent system when the shells are off enable a very noticeable cooling affect. 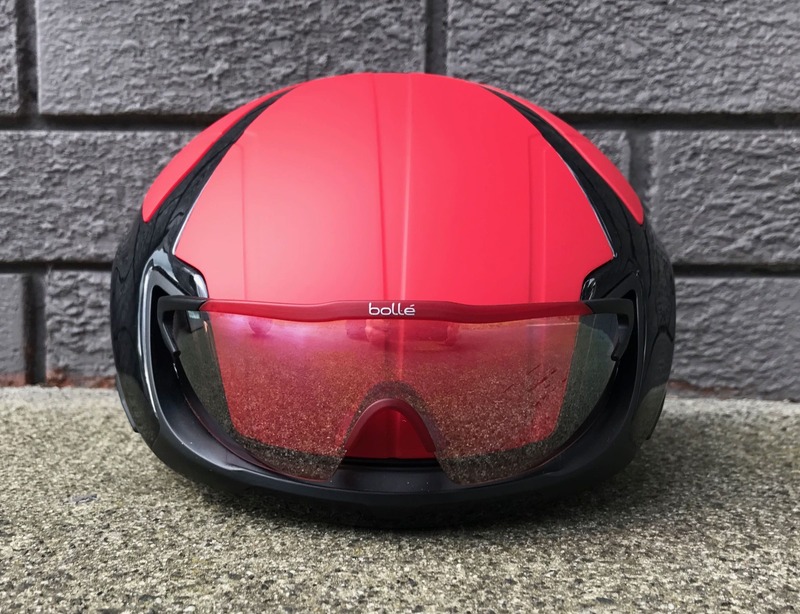 The Bolle quickly transforms into a well ventilated helmet. So what about the aero effect of the Bolle The One? I’d like to preface the below by saying that I’m aware that our test wasn’t “thorough” enough to be conclusive. However, personally I never ride in a wind tunnel so testing out this feature on a strip of road I constantly ride on day-to-day in Melbourne seemed fitting. As per the video above, I rode with the Bolle The One Road Premium on a 1.1 km stretch of road. 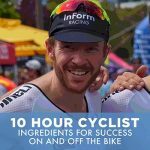 There were no traffic lights; the road was flat, and I started with a rolling start at 350 watts. Yes, there were variables such as the millisecond differences in when I pressed start and finish and the wind conditions that may have been slightly different across the two efforts. However, I kept the average power across these two efforts at a very similar output (359 watt average for effort one with the Aero Shells and a 355 watt average for effort two without the aero shells). Additionally, I kept my riding posture identical and rode the efforts back to back to ensure the wind conditions were as close as possible. So a one second difference in the end. Given the potential discrepancies of wind and when I pushed the stop/start button, it’s fair to conclude that while the aero shells may look aero, it’s impact on speed is minimal, if any. 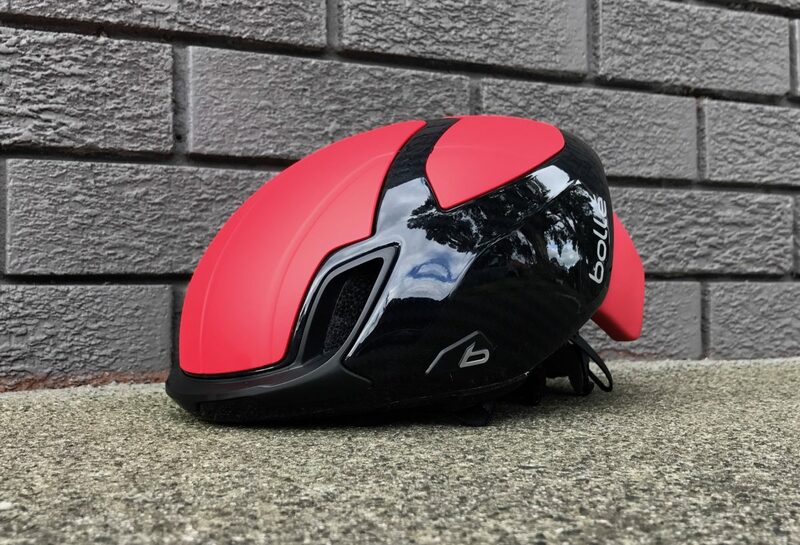 At roughly $260 AUD you get a quality brand with a lot of helmet including exceptional safety features, dual warming systems, and aero dynamic aesthetics with a sturdy build to ultimately project that head of yours.